Always an audience favourite, Cirque de la Symphonie’s extraordinary cast of acrobats, contortionists, and aerial flyers unite with orchestral masterpieces to create a spectacular feast for both eyes and ears that will delight the whole family. Families that paint together make memories together! Create your very own family tree featuring all your loved ones. Buy the canvas, and the supplies to decorate it will be provided. Arrive early and join us for a delicious hot breakfast* and fun science activities, then get cozy in our luxurious seats and enjoy this cult-favourite! Hot breakfast features delicious French Toast with Triple Berry Compote, Fresh Whipped Cream, Syrup, and Applewood Smoked Bacon and Fresh Fruit. Plus a regular drink and a regular sized popcorn! Enjoy a deep water rec swim with diving, flippers and bigger mats and toys – plus a big inflatable obstable course in the lap pool! This activity is included in the Millennium Card, your annual or monthly pass to Strathcona County’s recreation centres. Family Day Event hosted by the Evansdale Community League. Join us for a fun-filled afternoon on Sunday, Feb 17 at noon to 4pm, located at Evansdale Community Hall/Skate Shack, 9111-150ave. Free admission comes with a hotdog and hot cocoa. PHOTO CONTEST: post a photo at the Manning Village playground, toboggan hill, or off-leash dog park on our Manning Village Facebook page with #Manningvillage for a chance to WIN a $100 Gift Card to Petland or Cineplex Odeon in Manning Village Town Centre! * Click here for contest details. 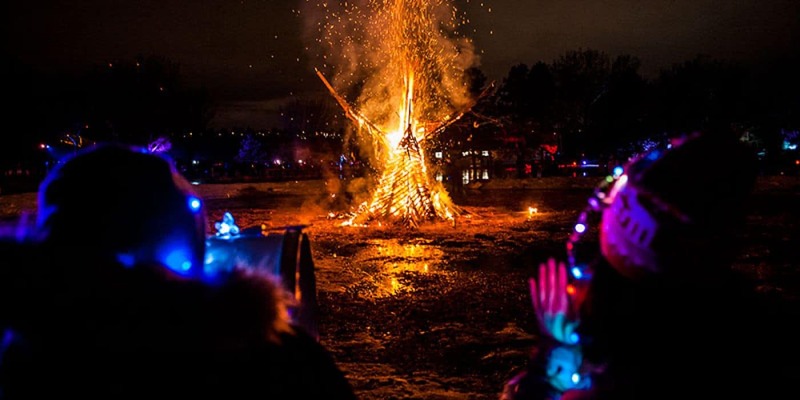 Explore Family day events all around the city – we’ve rounded up 30+ events that you can explore and experience, right here – on our family day activity guide in Edmonton. View the full list, here.